Great design is comprised of a good idea, a well executed plan, proper budgeting, and distinguishing colors, creating a beautiful and unique environment. With extensive experience in color and design, we take pride in painting quality homes and place great value on a satisfied customer. With a little imagination, some creativity, and discriminating colors, we can enhance your environment to create warm, inviting living spaces, that will excite your senses and achieve a whole new climate. 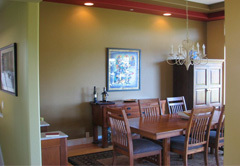 Creating new environments is what True Colors Painting has been doing since 1996. Our relationship with clients goes beyond just the paint job. It’s a combination of imagination, creativity and good humor that builds a personal connection, and achieves results, usually beyond expectations. We enjoy what we do, and take pride in our work. You’ll love the result. While reviewing my website, be sure to take a minute to read a few of the testimonials I’ve received from my past customers. No job too big! Attention to every detail! We use high quality products and materials in every phase of preparation to finish, and we are always striving to research potential product improvements and to stay on the cutting edge of change. 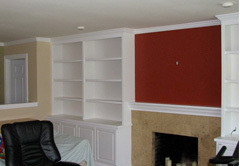 As a result, True Colors’ paint jobs are designed to incorporate all aspects of superior products and techniques to add quality and longevity which make sense for today’s home owner. 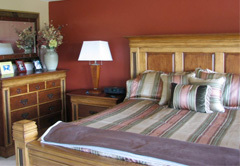 Quality is the foundation for every home we paint. Our success is based on making your vision a reality.